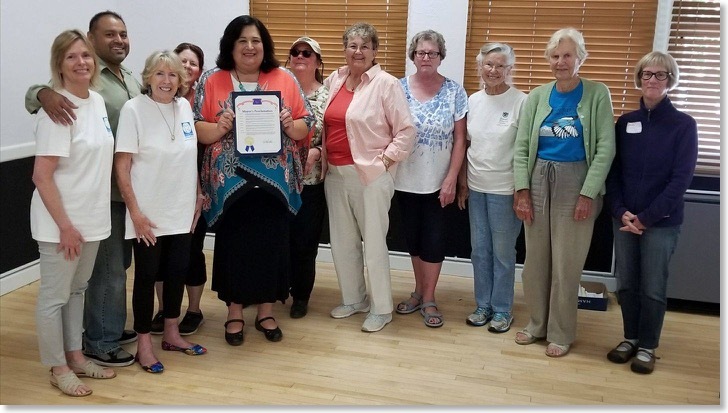 On September 22nd, 2017 the first Matter of Balance class sponsored and presented by The Seniors Council and the Companion for Life Project graduated. 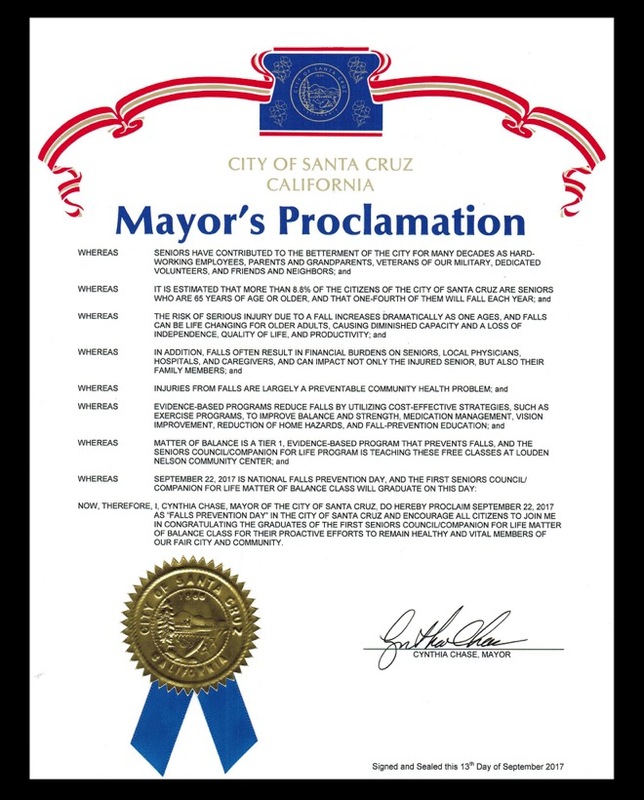 We were very fortunate to have Santa Cruz councilperson, Richelle Noroyan, present us with a Mayoral Proclamation for our work in helping older adults remain active and healthy in our community. Special thanks to The Seniors Council board member, Creighton Mendivil, for his appearance. It was a wonderful experience and we can't wait for the next class.